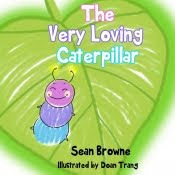 The very loving Caterpillar is such a tender, wonderful, cute, sweet and melancholic story according to my point of view of a special caterpillar. This one is a children's book written by Sean Browne and illustrated wonderfully well by Doan Trang. We all know butterflies, but they become such wonderful creatures after a process called metamorphosis. 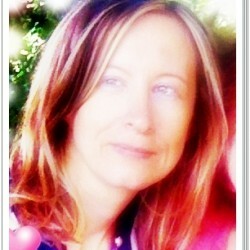 It takes time, and a radical change of look from the state of caterpillar to the one of butterfly. Yes, my dear little child it's something that you can just describe as magic. Pure magic. What happens? A change of weather alters the life of all the caterpillars and no one is anymore happy or their life. The poor little caterpillar is not anymore happy or joyous like in the past. He was missing his old life, he was missing what he has been before. He knows that a change is indispensable for helping all the others. Closed in the chrysalis he slowly becomes a beautiful butterfly. In the while he receives a vision: the vision of his next passage: the vision of his new life. The vision of his future. Once transformed he will help all the other to become their real self but not only: to enjoy their real life. I found the end very melancholic because the life of a butterfly is very short and I imagined the end of the book as the passage to the other world after a short visit in this shape on Earth. I don't know why but I read it under this aspect. I suggest to every parents of buying this book to their children. I can tell you I grew up in a countryside and there wasn't anything else more interesting and fascinating to me than the passage from the state of caterpillar to the one of chrysalis and later butterfly of this animal. It will be a good start for a conversation about life, transformation, climate changes, seasons, nature, and about the life of animals. It's spring: you can read this book to your children, bringing later them somewhere for enjoying an outdoor special event all dedicated to them where they can admire butterflies, caterpillars and other animals. I thank OnlineBookClub for this ebook!